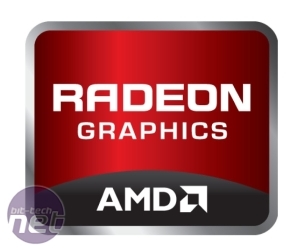 We’ve been waiting for this news ever since AMD bought ATI, but AMD today revealed that we probably won’t see the ATI name in 2011, though we’ll likely hear it for years to come. The news isn’t a great surprise – we reported back in 2006 that the ATI brand would be retired after AMD had bought the company, and the situation has been a touch confusing ever since. 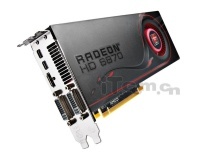 Should we say that we’re reviewing and AMD Radeon HD 5000-series card or an ATI one, for example? During the first half of our AMD briefing we’ll admit to having an emotional response – not quite a ‘how dare they’ moment, but hardly a reaction that Spock would approve of. AMD was clearly concerned about this, and much of its briefing focused how the decision to retire the ATI brand was arrived at. 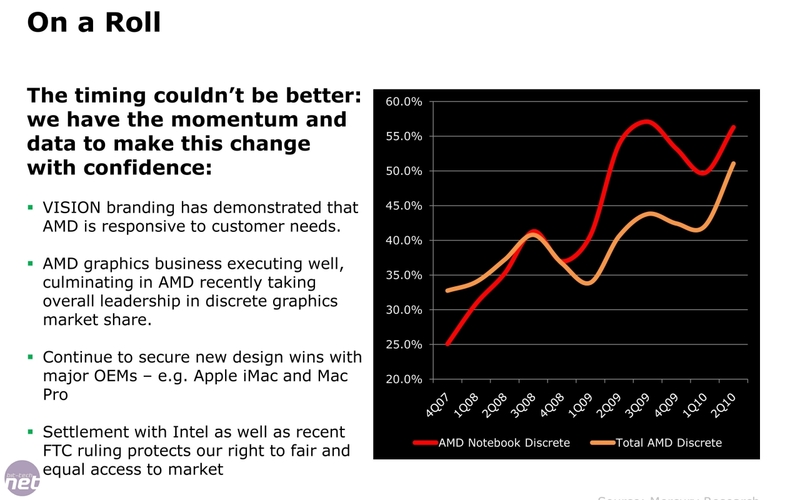 John Volkman, AMD Corporate Marketing Fellow, started by re-iterating that ‘AMD takes pride in simplifying the buying process’, a theme we first saw from AMD when we took a first look at its Vision laptops and branding approach. 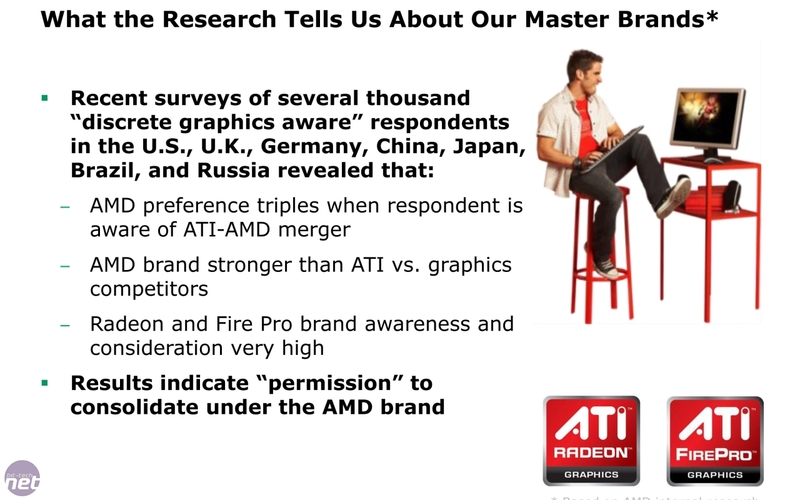 Volkman continued, ‘We [AMD] had the opportunity to lay the ATI brand to rest [when we took it over], but chose not to do that’ he elaborated because the company felt it didn’t have ‘permission’ to do so. 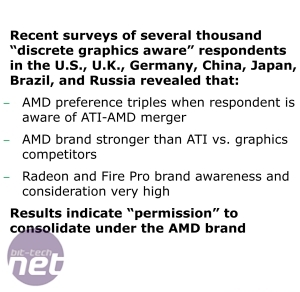 For a while AMD has clearly been pondering the move, and has been surveying ‘discrete graphics aware’ customers (people who have bought a graphics card or a PC with a discrete graphics card) from the US, UK, Germany, China, Japan, Brazil and Russia about the AMD and ATI brands. Volkman said that from this survey earlier this year AMD had ‘learned the Radeon and ATI brands were equally strong when considering graphics’ and that ‘AMD and Radeon was stronger than ATI and Radeon’. 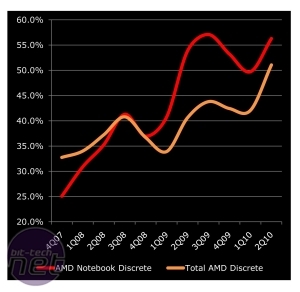 That’s a rather surprising result for us, as it indicates that these ‘discrete graphics aware’ people are more comfortable with the idea of an AMD Radeon graphics card than an ATI Radeon graphics card. 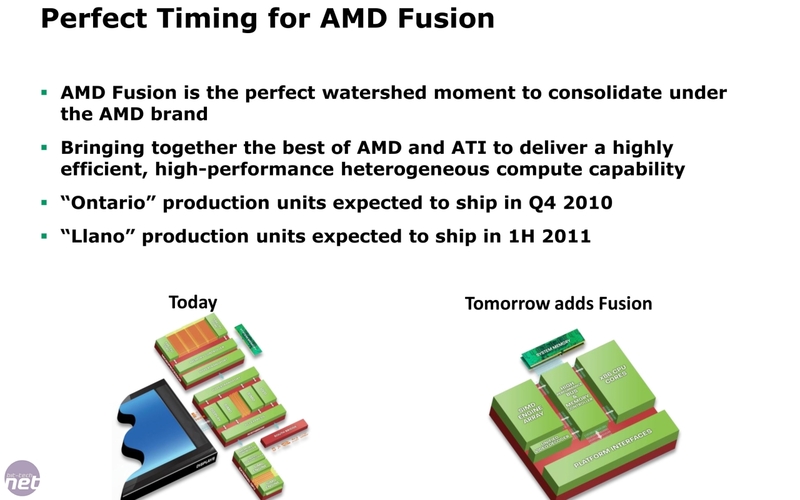 Keeping the ATI brand in the Fusion APU era would have been horribly confusing. Click to enlarge. The decision to drop the ATI brand sounded a touch over-justified, with this survey of knowledgeable customers and even graphs to back up the conclusion. 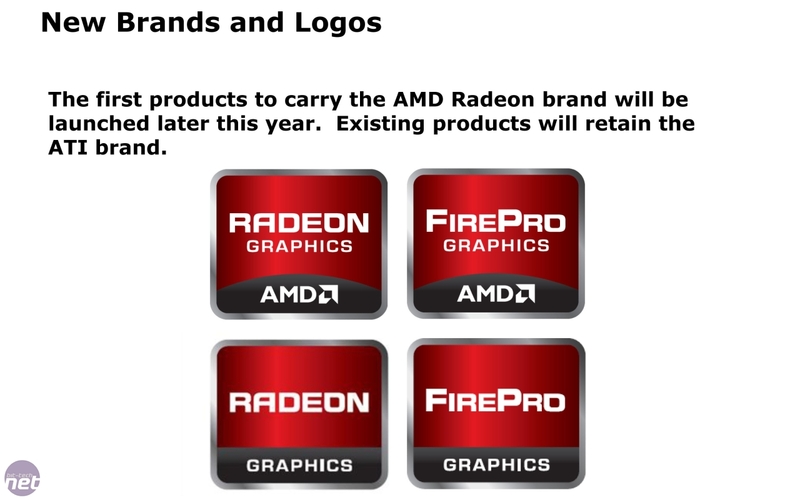 However, when we thought about the move in more detail, it’s perfectly sensible for AMD to want to have clear branding for the future. 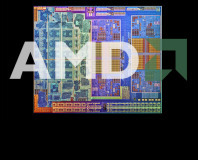 Imagine the confusion over a single AMD Fusion APU that has ATI Radeon graphics – is that one chip made by one company or two made by two distinct ones? We look at the new, clearer logos and branding on the next page. 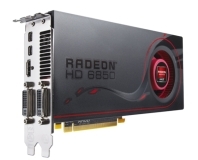 Benchmark scores for AMD's up-coming Radeon HD 6870 and 6850 cards have leaked out.